The T-Mobile Galaxy Note 9 is getting its second update this month. T-Mobile is now pushing an update with the build number N960USQS1ARK1 to the Galaxy Note 9. The update comes in at 94.25MB and includes the November 1, 2018 Android security patches. This update is now rolling out over the air, and TmoNews reader Bryan received it today. If you have a Note 9 and haven’t already updated, you can either wait for the update to come to you or manually check for it by going into Settings > General > Software update. Be sure to let us know when this update makes its way to your Galaxy Note 9! is the camera problem solved? what was wrong with the camera? Camera is freezing for a lot of people… Apparently not all… Hopefully it’s a software glitch. Since clearing camera cache makes it work for a while. Is that color TVs same as the OnePlus 6T? Flash the US unlocked firmware and sign up for the One UI beta for the Note 9 in the Samsung + app or just flash the One UI Pie beta manually. Check XDA for more info. In the us i can’t find the option to join beta in Samsung+. Even side loaded members app…. Nothing! Has any one stateside been able to join through the app? 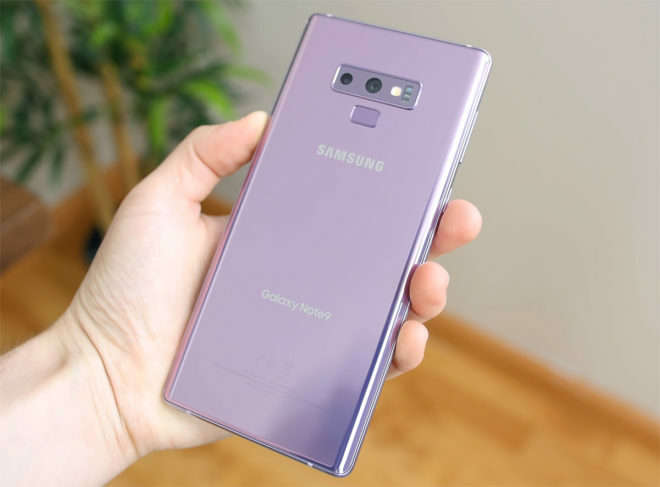 It was up for a brief period of time for users using the US unlocked (SM-N960U1) Note 9 or the firmware (if they Odin’d the firmware on their carrier model). Might have been a test run as we have not had the beta become available even after registering. Try Thurs as that’s when it’s rumored to go live. I got this update Saturday morning.